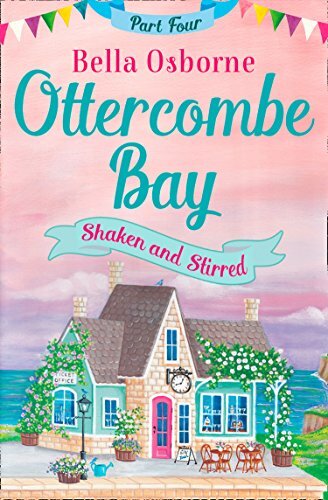 Today on the book tour for ‘Raising The Bar’, the third book in Bella Osborne’s ‘Ottercombe Bay’ book series, Bella talks about the joy of research. As I writer it’s important that I do my research. Sometimes this takes me to odd places and has parental warnings flashing up on my PC but sometimes it is pure bliss. My research for Ottercombe Bay gave me a mix of all three! It is set in a fictional Devon seaside town so obviously I had to spend some time in the area and it really is a beautiful part of the country. We stayed on the Devon/Dorset border not far from Lyme Regis and got to explore the coast in both directions. We visited the beautiful village of Beer, Devon, and I loved how the river was channelled through the streets to the sea. The beach at Beer is divided: one half filled with small fishing boats and the other side littered with tourists, but everyone seems to get along just fine. Near Budleigh Salterton, Devon, the river Otter meets the sea but unlike Beer there is no village as it’s an area of outstanding natural beauty, which got me thinking. What if there was a village here? Combe means a valley on a hillside or coastline so the town of Ottercombe Bay was born. I spent some time talking to the lovely people at the RNLI, both their central office and volunteers from various Lifeboat stations who were so generous in sharing stories and answering my questions. As I was brought up in a seaside town I have also witnessed the lifeboat going out in the most awful storms and am in awe of the crew members who regularly risk their lives to save others. My favourite research for Ottercombe Bay was the very serious subject of gin. Gin features in the story so I felt I needed to know more about this drink – a lot more! A YouGov poll found that gin is now the most popular spirit in the UK, with 29% of drinkers voting it their favourite and 47m bottles of it were sold in 2017, setting a new record! Gin has become very popular over the last few years since 2009 when Sipsmith, a London based distiller, won a legal battle with HMRC for the right to produce gin in small quantities via smaller stills rather than on an industrial scale. This gave rise to craft distilleries that sprung up all over the country producing their own variations of gin. I was very lucky to be able to attend a special Burleigh’s gin tasting evening at the Seven Stars pub in Rugby, Warwickshire where I learned so much about the history of gin and gin production as well as getting to try out quite a few too! To ensure I was sufficiently qualified to write about gin I also attended a gin festival in Coventry Cathedral, a very beautiful but unusual venue for such an event, and did my own research on gin cocktails. I must say my friends have been amazingly supportive of the gin research, offering to accompany me and test out my creations over and over again – well, what are friends for? 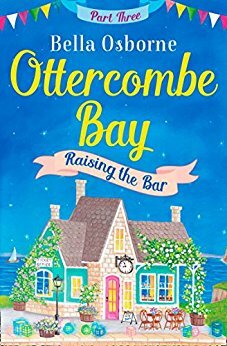 You can buy Ottercombe Bay – Part Three: Raising the Bar (Ottercombe Bay Series) from Amazon.